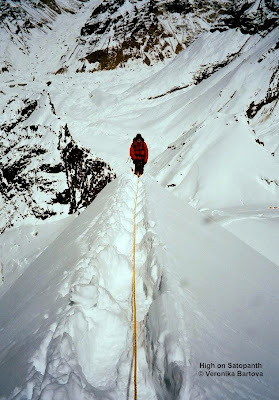 Field Touring Alpine Blog: FTA Satopanth 2011 - Summits!!!! Ben has just called in with the good word from C2 - he and Nicole and Scott all topped out at 1:45pm!!! They left C2 at about 5am and after nine hours of fantastic climbing and great view they reached the top and enjoyed great views of Shivling, Bhagirathi, Nanda Devi and more! The descent back to C2 took them about 4 hours of careful climbing on the sharp ridges and they were "a bit shagged" by the time they plunked down in their tents. They were welcomed back by the HAP's Suresh and Sawan who had waited in reserve at C2 in case of any troubles on the summit bid. Ben said that aside from a few clouds and bit of wind they had a perfect day for the summit and Scott has already proclaimed it to be one of the best trips he's ever been on! 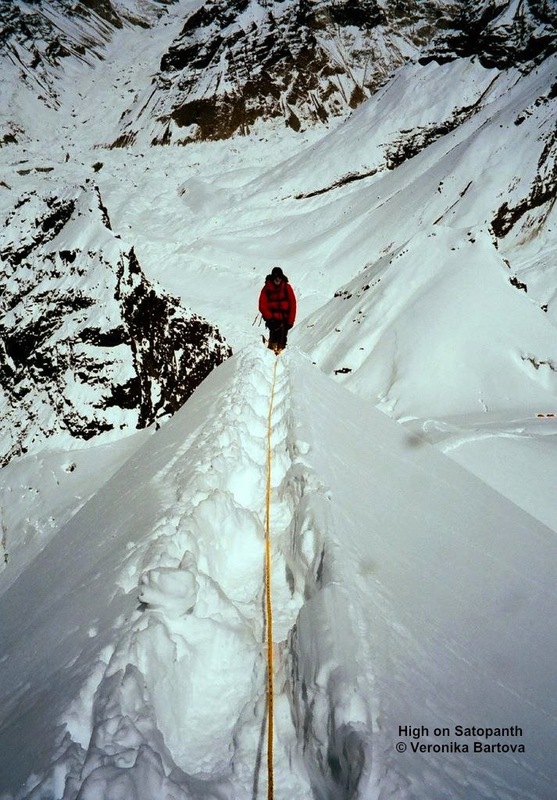 Ben has been on quite a few peaks (including Ama Dablam, Cho Oyu & Broad Peak) and sadi the route was as spectacular as anything he's been on. 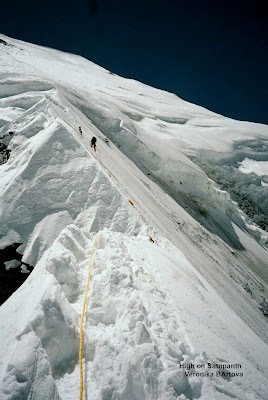 There is no doubt that this is one of the best remote and exciting climbs we have in the FTA lineup and we look forward to coming back in 2012 for a third successful trip! When Ben gets back into Delhi in a weeks time we'll put up a bunch of pics from this years exped and in the meantime you can enjoy a few from our 2009 trip! Well done Ben, Nicole & Scott! Can't wait to see more photos. Satopanth looks amazing. Congratulations to the whole team effort, HAPS Suresh & Sawan and support from Gavin & others at BC.